At Island Spirit, responsible tourism is what we do, and therefore it pleases us greatly when the representatives from the nations we work with step up and challenge others when it comes to climate change action. Minister Ronald Warsal from Vanuatu Justice and Community Services was the only Minister from the Pacific to attend the 15th Session of the Assembly of State Parties to the Rome Statute of the International Criminal Court at The Hague earlier this month. The Statute is a treaty established in 1998, enacted in 2002, and ratified by Vanuatu in 2012, and it enables the court to act against four core international crimes including genocide, war crimes, crimes of aggression, and crimes against humanity under which climate change inaction arguably falls. Currently 124 states are signed up to the treaty. Warsal spoke of how he was not only representing the people of Vanuatu, but his own children too. He also spoke of the direct trauma he and his people had already experienced due to the negative effects of climate change calling it an ‘ecological, economical, and cultural disaster’. Such a strong sentiment was well received by the other attendees. Same Mike Waiwai also from the Vanuatu government presented to the conference a swathe of information and traditional knowledge which is pivotal in the fight against climate change. Also in November, the United Nations Framework – Conventions on Climate Change held the 22nd conference of the parties (COP22) in Marrakesh. The Pacific Climate Change Centre was the focus of the event, as it was announced it is to be the shared regional climate hub to enable proper collaboration in the efforts to mitigate the effects of climate change in the Pacific states. The centre is funded by Japan and Samoa. The event was titled Climate Resilient Development in SIDS and featured many internationally renowned speakers including some from Fiji, Australia, and Vanuatu. The key theme was resilient development, which included how to recover quickly and effectively after natural disasters as well as how to prepare better to shield from any such future events. The Centre is a shared resource not only for the good of the Pacific region, but of the world and aims to compliment other schemes and work with shared aims. Mr Manasa Katonivualiku, Fiji’s Country Project Coordinator for Adapting to Climate Change and Sustainable Energy in the Ministry of Economy spoke at the event of how there are seven key areas to climate change action which includes the sharing of information which will be enabled by the hub. Mr Philip Masale from the Vanuatu Meteorology and Geohazards Department added that the centre will help give Pacific states a direction on climate science. In Vanuatu, climate change has already seen the displacement of peoples and tribes, and resultantly languages lost forever. It is, as Minister Warsal quite rightly said, a David and Goliath story for the Pacific Islands, whose voices are not frequently heard on the international stage when it comes to the issues that are a future fear for many countries, but a current reality for them. This is why the Minister was so emphatic in his support for the policy paper of crimes that include the destruction of the environment. 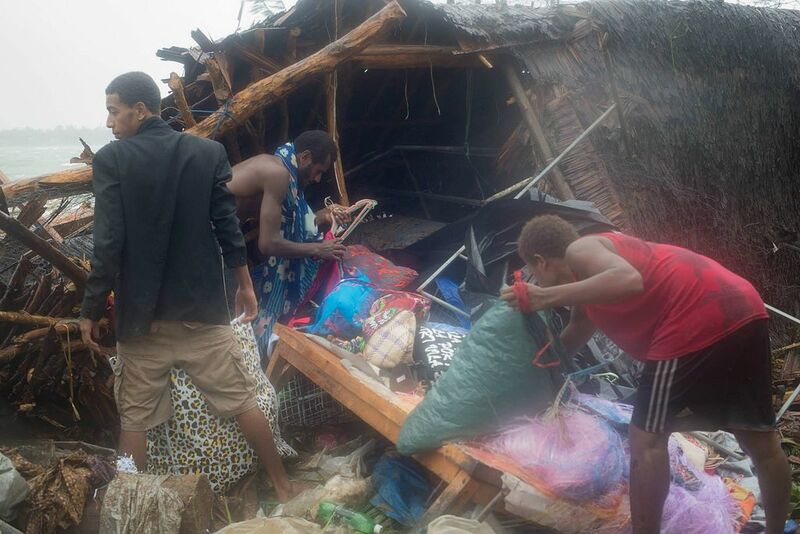 Vanuatuans have already seen islands disappear, road erosion, and a bombardment of natural disasters such as Cyclone Pam in March 2015. The island state is in a constant state of reconstruction due to the very real effects of climate change. This is one of the many reasons we here at Island Spirit decided to branch out to Vanuatu, to help enact positive change on the ground and raise awareness of the plight of such nations. Not only does it have a cultural and ecological effect, but an economic one, which is why responsible tourism is crucial to beautiful and endangered places such as Vanuatu. The Minister’s vision is for a stronger International Criminal Court, so that it can help tackle climate change. He wants it to have a firm mandate to protect nations and peoples vulnerable to the effects of climate change with full legal, political and financial force. Island Spirit thank him for it.